Apex Legends is a new battle royale title from Respawn set in the Titanfall universe. Given that battle royale games tend to become very popular almost instantly, it was no surprise when the game picked up 1 million players in 8 hours after its launch. 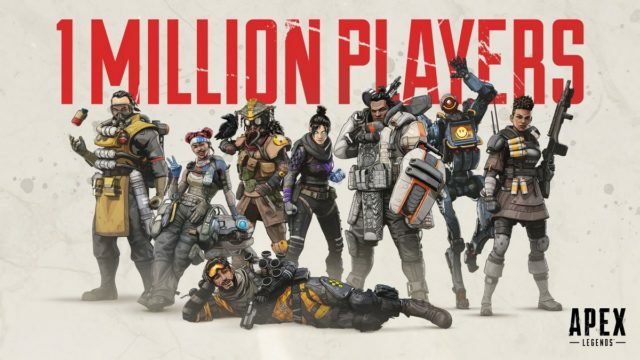 EA has shed light on future plans for the title which include cross-platform support and mobile versions of Apex Legends. EA CEO Andrew Wilson said during the company’s recent quarterly earnings call that the company is considering cross-platform gameplay “in the context of Apex.” He added that EA is looking to take the game to mobile devices and enable cross-platform play over time, and that it’s in conversations about that. “I also expect that this game will have tremendous value in Asia,” he said about Apex Legends. This goes to show that the publisher wants to go down the same road as Fortnite and PlayerUnknown’s Battlegrounds. Both of these battle royale titles are insanely popular and offer full cross-platform support in addition to mobile versions. It’s going to take some time before this happens for Apex Legends, though. Scaling the game down so that it can run on mobile phones is going to be a major undertaking. Not that it won’t be possible, just that it’s not exactly going to be easy.